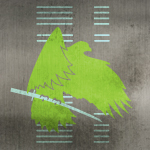 -Joined Clan Jade Falcon around 2001/2002. -Defeated two Bloodnamed warriors in my Trial of Position, Khan Talon Drake (Shadow Cat) and GC Karnage Drake (Nova Cat). -Won the Mattlov Bloodname in 2002 on the MechWarrior 4 platform. -3 July: Gained three kills in a Trial of Position.